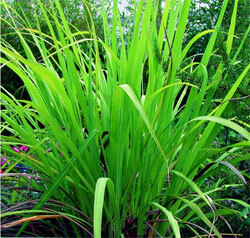 Palmarosa essential oil is steam distilled from Cymbopogon martinii, a wild grass native to India and Nepal and comes from the same family of grasses as Lemongrass and Citronella. Has anti-bacterial, anti-fungal, anti-infectious, anti-septic, anti-viral and emollient properties. Is beneficial for acne, fungal infections, dermatitis, eczema, mature skin, restoring skin cells, regulating sebum production, scar tissue, minor skin infections and wrinkles. Frequently used as a fragrance component in soaps. Is a light yellow color and has a sweet, floral scent with a hint of geranium and rose. Blends nicely with citrus and floral oils, as well as cedarwood, chamomile, clary sage, clove, frankincense, ginger, juniper, lemongrass, oakmoss, rosemary and sandalwood.